Goodwill SWFL's program manager of disability support services, Megan Feeney, is the 2016 recipient of the Debra Husted Dreams Can Come True Outstanding Educator in Transition Award. FORT MYERS, Fla. - May 13, 2016 - PRLog -- Megan Feeney, disability support services manager for Goodwill Indsutries of Southwest Florida, has been named as the state's Outstanding Educator by the Florida Division on Career Development and Transition (FLDCDT). Feeney received the award at the 23rd annual Visions Conference in Lake Mary, Fla. on April 28. The Debra Husted Dreams Can Come True Outstanding Educator in Transition Award is presented annually to an outstanding educator who provides exemplary transition services to students with disabilities. Award recipients exemplify the values of tenacity, caring, and a belief in the ability of individuals with disabilities, and show involvement beyond the usual circle of a person's life. As Goodwill's disability support services manager, Feeney created Goodwill's Pathways to Opportunity, a Medicaid-certified adult day training program for individuals with intellectual disabilities. Pathways to Opportunity launched in July 2014, and now has 25 participants who receive life skills education, employment training, recreation, and opportunities for creative expression. The program's goal is to allow its participants to live as independently as possible. Because of the success of the program in Lee County, Goodwill (http://www.goodwillswfl.org/pathways) hopes to replicate Pathways to Opportunity in neighboring communities. 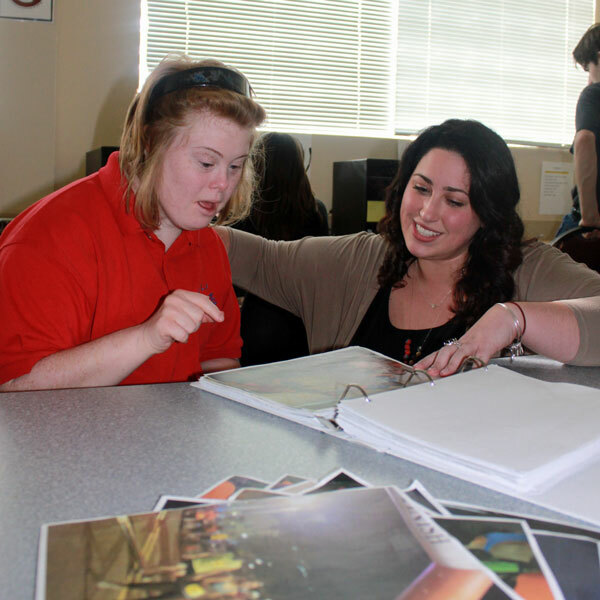 "Megan has made a tremendous impact upon the lives of those individuals with disabilities she serves in her Pathways to Opportunity program," says Fred Richards, Goodwill's vice president of community support services. "She has unwavering commitment; compassion and dedication to ensuring those with disabilities are empowered to achieve self-sufficiency. Our participants have grown, gained self-confidence, increased many skills, and it has been life-changing for them and their caregivers." Feeney also oversees Pathways to Work, a transitional employment program for individuals with disabilities; and Trailways Camp, a recreational program for adults with disabilities. "I enjoy having the opportunity to support individuals in exploring and developing abilities that they don't always think possible," says Feeney. "Through the successes of our Pathways participants, we have the opportunity to change the community's mindset build socially valued roles for these individuals. This program provides the community with an option of transition for the young adults exiting school and supports the participants in their goals toward employment and more." The Dreams Can Come True Outstanding Education in Transition Award is named after Debra Husted, who was an educator who exemplified the best in individuals working in the field of transition. She willingly gave of her time and expertise on behalf of individuals with disabilities of all ages, but especially to those in transition. Goodwill Industries of Southwest Florida, Inc. is a 501(c)(3) nonprofit organization that serves Collier, Lee, Charlotte, Hendry and Glades Counties. The agency's mission is to help people with disabilities and disadvantages by offering life-changing opportunities to achieve independence. Goodwill's programs in Southwest Florida include Pathways to Opportunity and Pathways to work, Job-Link resource centers, small business training classes, disability-accessible housing, the Goodwill L.I.F.E. Academy charter school, and more. For more information about Goodwill Industries of Southwest Florida, visit http://www.goodwillswfl.org.